All music composed by Bjorn Lynne, 2001-2003, exept "The Camp on the Riverbank" and "The Ice Maiden", composed by Bjorn Lynne and Ken Senior. 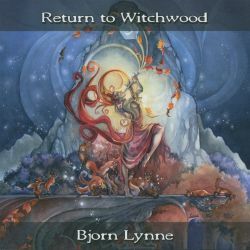 Bjorn Lynne: Keyboards, acoustic & electric guitars, bass guitar, percussion. Ken Senior: Acoustic guitar on "The Ice Maiden" and "The Camp on the Riverbank". Electric guitar on "The Camp on the Riverbank". Marc Pattison: Guitar solo on "Return to Witchwood". Rebecca Webster: Flute on "The Alchemist", "A Lifetime of Moments" and "The Old Tower". Ben Crick: Cello on "The Alchemist" and "The Old Tower". Jean-Pascal Boffo: Guitar solo on "The Alchemist". This album is dedicated to my father, Arne I. Lynne, 1936-2003. He was a true lover of nature and the wilderness, and the one who got me into music in the first place. Thank you for everthing.